It has felt more like fall than summer these past days. There are a couple of things that remind me of the beach and summertime. 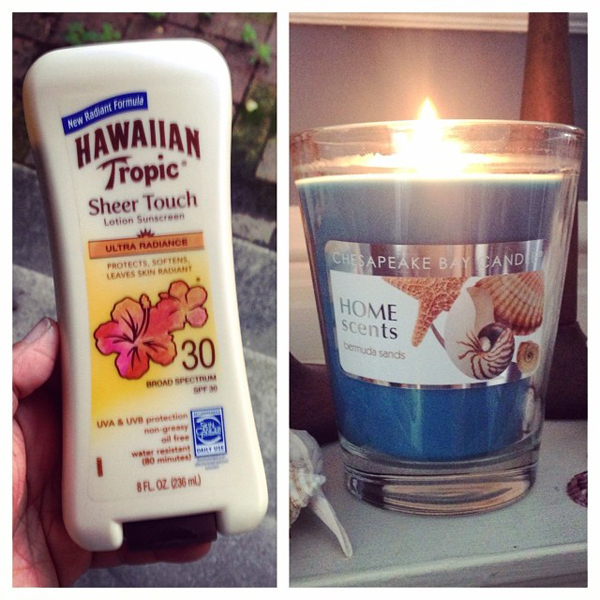 Hawaiian Tropic smells like the beach and so does this candle.